Missouri artist Andy Thomas enjoys painting a wide variety of subject matter. 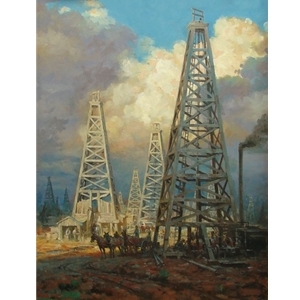 History and nostalgia are two of his favorites that combine in this oil field scene from a century ago. Boom towns sprang up over night attracting hundreds in search of Black Gold. 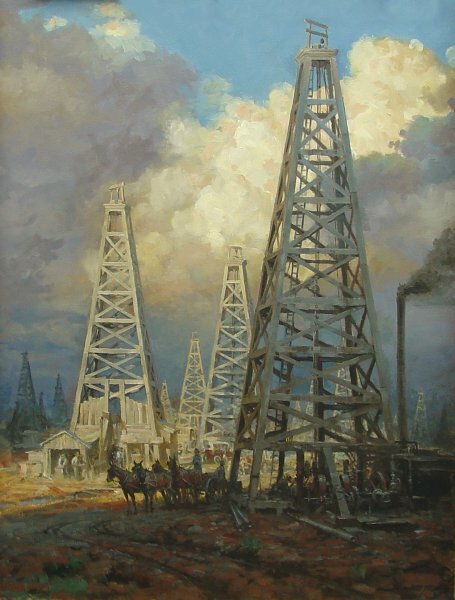 This particular painting is a study in light and shadow as the foreground in shadow contrasts beautifully with the wooden derricks in the sunlight.